Anytime we go to Cracker Barrel, when they ask me what sides I want, Hashbrown casserole is always one of the choices. So good!!! It may be because I'm obsessed with potatoes and could eat them every day, any way, without getting sick. 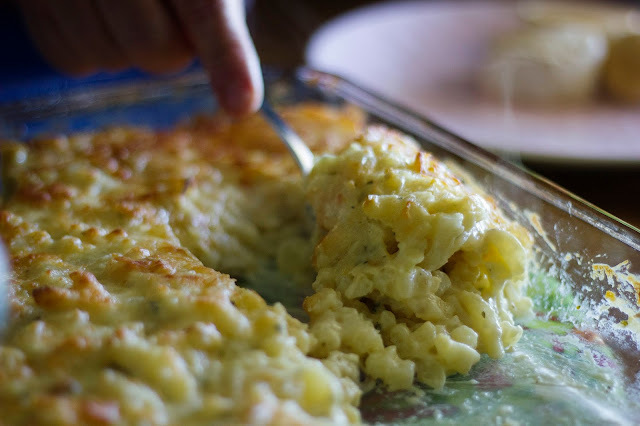 Or it could be that I just love casseroles, and this one is yummy and creamy and perfect for a breakfast get together, or a breakfast for dinner, or heck even as a side dish for a weekday dinner. Whatever you decide, just make it, you won't regret it. Preheat oven to 350 and grease a 9x13 casserole baking dish. Preheat medium pot over medium heat on stove-top. Add oil, heat it through and add onions. Saute onions until they start to brown. Smash and mince garlic and add it to the onions. Stir and saute until fragrant. Stir in sour cream, cheese, salt, and pepper. Let the mixture cook and thicken as the cheese melts. Taste to make sure you have enough seasoning. Stir in parsley. 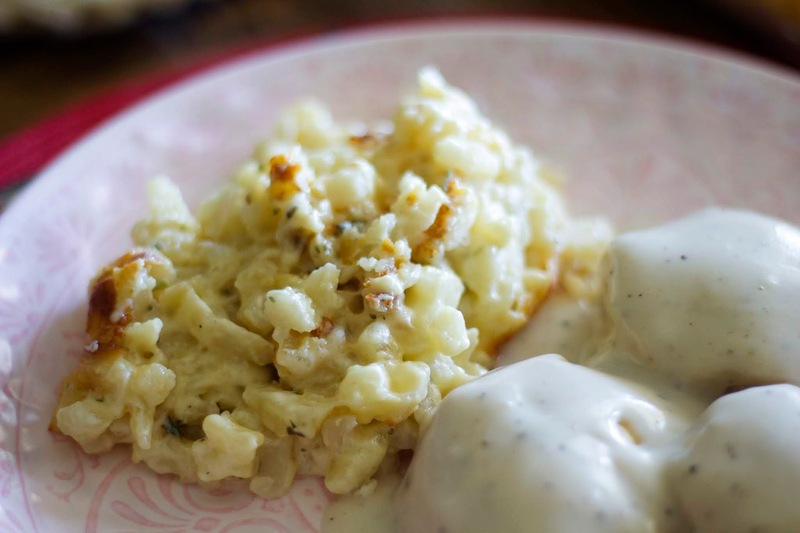 Mix hash browns and cheese sauce in a large bowl and spread the mixture in the prepared casserole dish. Make sure it's all spread evenly throughout. When people ask me where I'm from, I often wonder how to explain, because I was born in Mozambique which was a Portuguese colony at the time, but it is an African country so I'm African but Portuguese, lived until I was 10 in Portugal, then moved to South Africa and lived there for 14 years. We are of French descent, and my grandfather's parents were from Brazil. Anyway, that means that when it comes to food I love all kinds but I have a special affinity for Portugese and Brazilian. 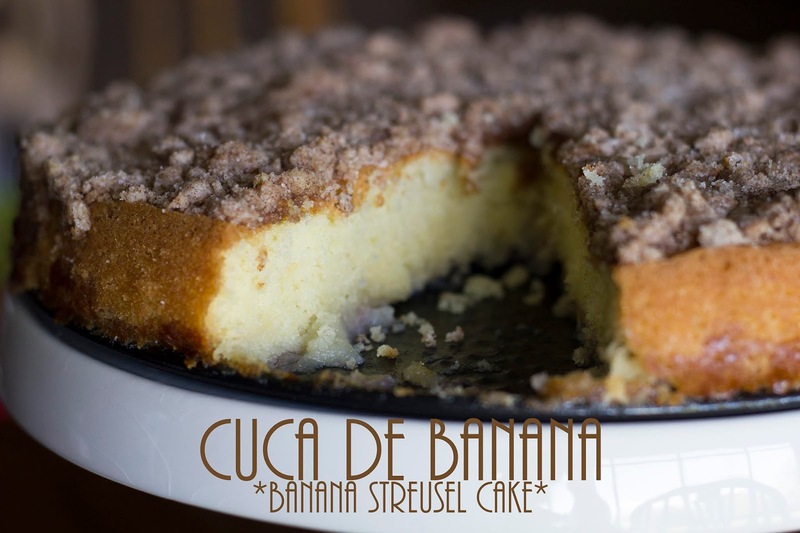 With that in mind, I thought I would come in and share a cake recipe that is very well known in Brazil, it is a banana cake with a yummy streusel topping. There's absolutely nothing to it, it's quick to put together, using ingredients you no doubt already have in your pantry. In a stand mixer, beat the cold butter with the sugar for about 5 minutes, until soft and fluffy. Add the eggs one at a time, until well combined. Start adding the flour, a little at a time, beating on low speed, once the flour is incorporated, turn the speed up to medium and beat well for 2 minutes. Grease a springform pan with butter and flour, pour in the batter, and then lay the sliced bananas on top. Bake in a 350 degree oven for 30 minutes. Do NOT open the oven door during the first 20 minutes. After 30 minutes, check to see if cake is cooked all the way by inserting a toothpick near the center, if it comes out dry, it is done. 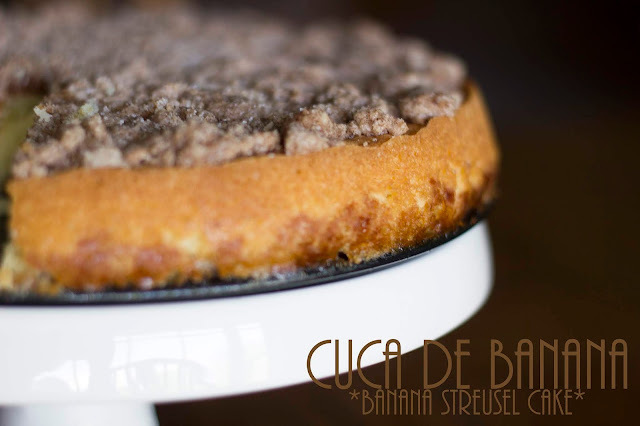 Make the streusel topping by mixing all the ingredients together, then crumble over the baked cake, return to the oven for another 10 to 15 minutes. You can also place the streusel on the cake before baking in the oven, but I prefer to do it this way because I find the topping gets nice and crunch and doesn't mix into the batter. As the weather starts to warm up, my mind immediately goes to summer time, hot temperatures and afternoon treats. 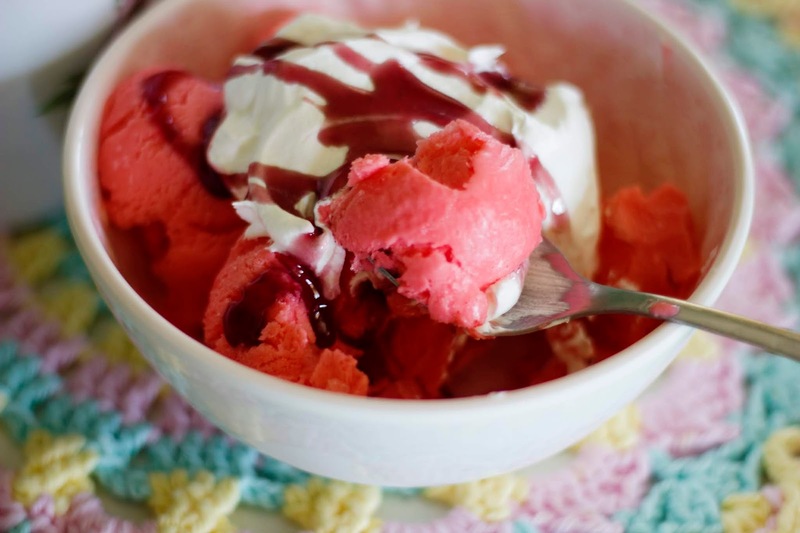 Usually we stock up on Braum's Ice Cream, and that's fine as we love all the different flavors, but it can become a bit expensive at $6 a gallon. As always, it is cheaper to make at home, but, is it worth it? For me, it is. It is certainly cheaper to make and I can use whatever flavor I choose, which gives me endless possibilities. Make the jello as per directions on the box. In a blender, add the jello mixture, the condensed milk and the evaporated milk. Beat for 2 or 3 minutes until well incorporated. 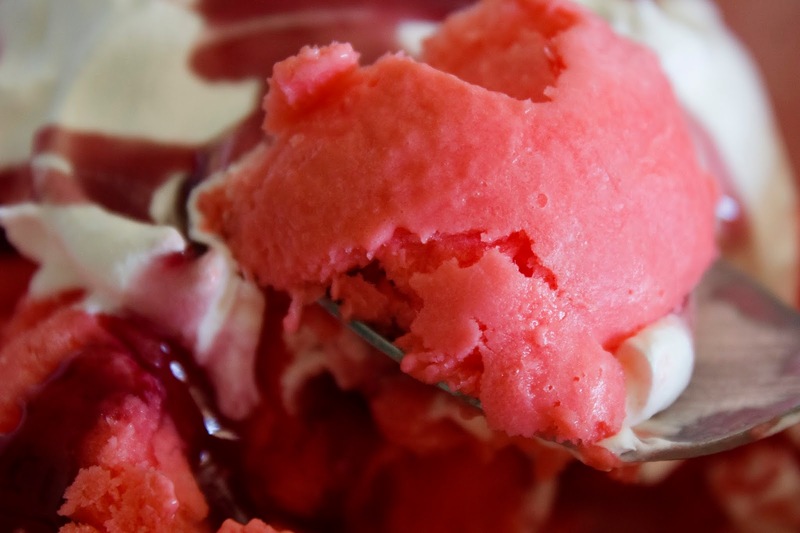 Pour into a freezer safe tub, and freeze for 2 hours. 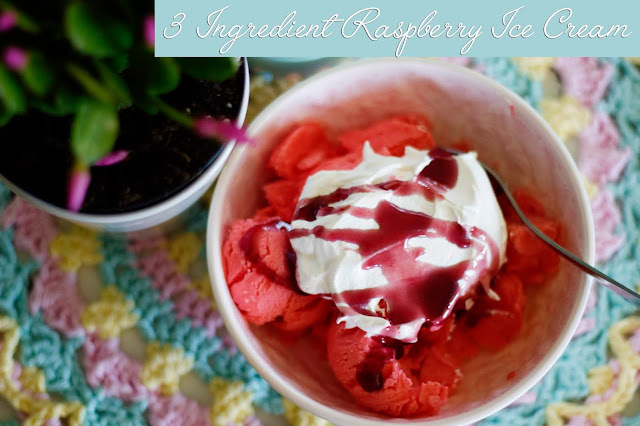 After two hours, pull out of freezer and transfer the mixture into a kitchenaid mixer, or a big bowl that you can use with a handheld mixer. Mix on medium for 10 minutes. It will get really well blended and will also increase in volume. After the 10 minutes, pour back into freezer tub or a bigger one if needed and freeze for 12 hours. That is it, simple, quick and easy. It does take a long time to freeze, and it most certainly needs the 12 hours in the freezer, so keep that in mind when making a batch for your family. I've been making beans for a very long time, and when I first started I would cook the beans with all the spices. Although they turned out ok, they never really stood out or made anyone go "WOW that's good." I soon realized the mistake I was making. When you cook the beans with all the spices, including your onion and tomato etc., you basically have to eat the beans that very day, or the next one. The longer it stays in the fridge the more sour they will become, or rather, they will go bad pretty quick. What I do, is make a big batch of beans which I'll then divide into smaller portions and freeze. When I want to serve them with that night's dinner, I take one of the portions out, and then place them in a saucepan to thaw and warm up, and at that point I'll add all the spices. The result is super delicious beans. Soak your beans for the minimum of an hour, or overnight. Some people don't soak their beans, I do because all of the indigestible sugars that cause flatulence, are contained on the skin. Of course, you also want to make sure you sort your beans and remove any little pebbles, and the soaking will also give them a good wash.
Once your beans have been soaked, place them in a slow cooker, add enough water to cover them by about two inches and then add in the bay leaf and the meat you're using, whether it's chourico (I usually put it in whole, same with the smoked sausage), sausage or diced bacon. 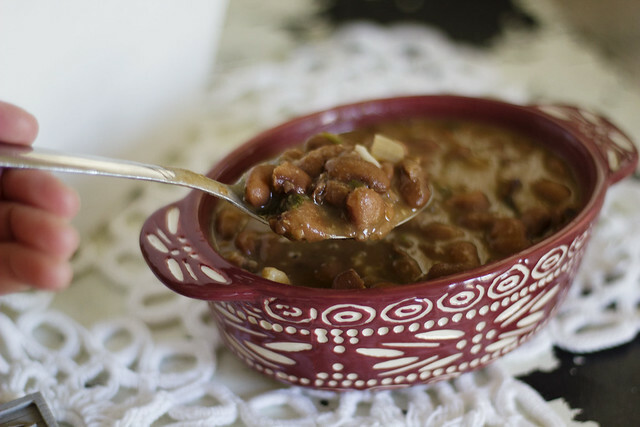 Turn the slow cooker to HIGH and cook for about 5 to 6 hours until beans are tender. Just a quick heads up, pinto beans take a LONG time to cook and sometimes I have them going all day long on high. Once they are cooked. Remove the meat and the bay leaf. Spoon the beans into smaller portions and freeze. If you are making some right away, then set aside however much you want to make and freeze the rest. To season the beans......in a pot, add a little bit of olive oil, the diced onion and the crushed garlic. I make my own crushed garlic, by peeling and then finely chopping up a few heads of garlic, then placing them in a mason jar and filling with olive oil to about an inch above the garlic. Place the jar in the fridge and then use that whenever you're cooking. For the beans, I add about a teaspoon and a half. Once the onion is tender and translucent, add in the beans, then add back in the meat. If you use chourico or smoked sausage, dice them up before adding. Season with salt and pepper, cumin to taste, paprika to taste and add in about a 1/4 cup or so of the Parsley, Cilantro and Green Onion mixture. Stir to combine well, and let cook for a few minutes for the flavors to blend. Serve immediately. 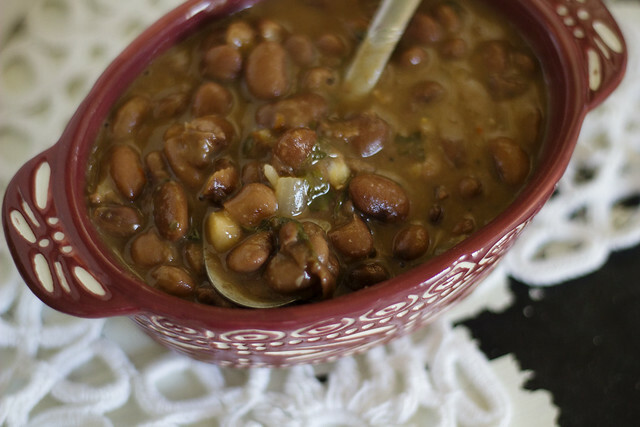 We absolutely love beans and I'll usually serve them with whatever meat we are having for dinner, and some white rice. 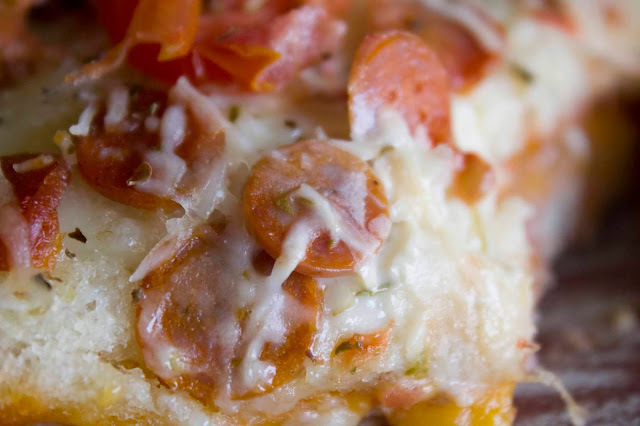 I love recipes that I can stretch to feed more than just our family, although, when I make pizza I tend to make quite a lot, because it's a family favorite, and the boys especially enjoy having leftovers or munching on it throughout the day. 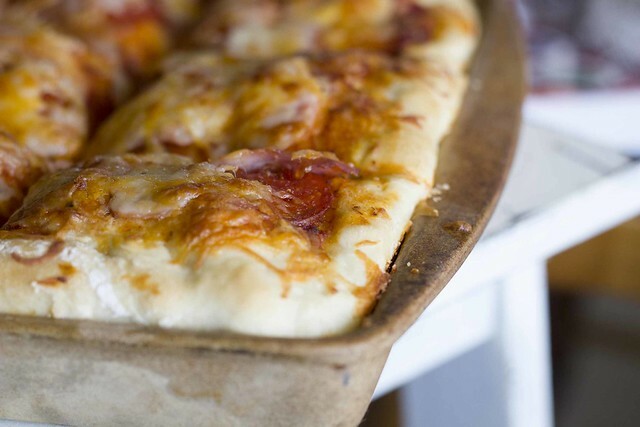 I already have a pizza dough recipe for you, here on the blog. It's my honey pizza dough which I've been making since my teenage years, it always turns out just perfect, fluffy and rises beautifully. 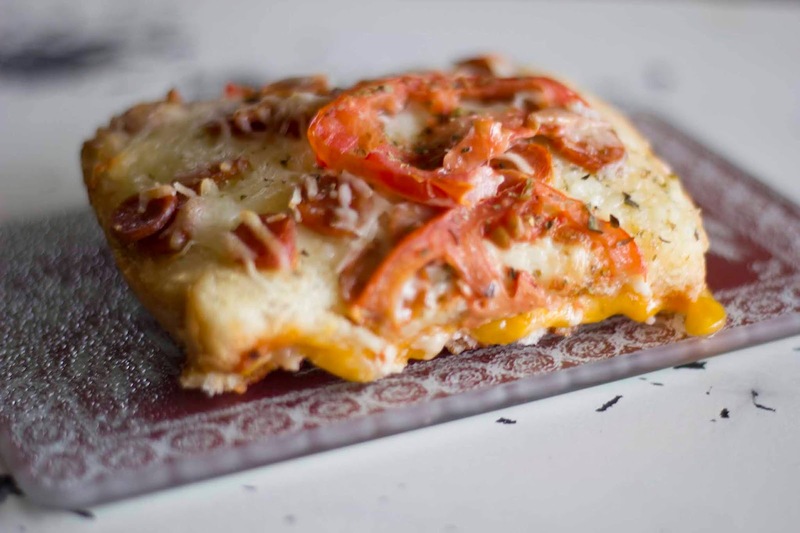 But with that said, I'm always on the lookout for new dough recipes, so I'm bringing you a whole new pizza dough for a sheet pan pizza that can feed 12 and is made in a big sheet pan. Obviously, you can play around with it, use whatever toppings you prefer, double or even triple the recipe depending on how many people you're serving and so on. 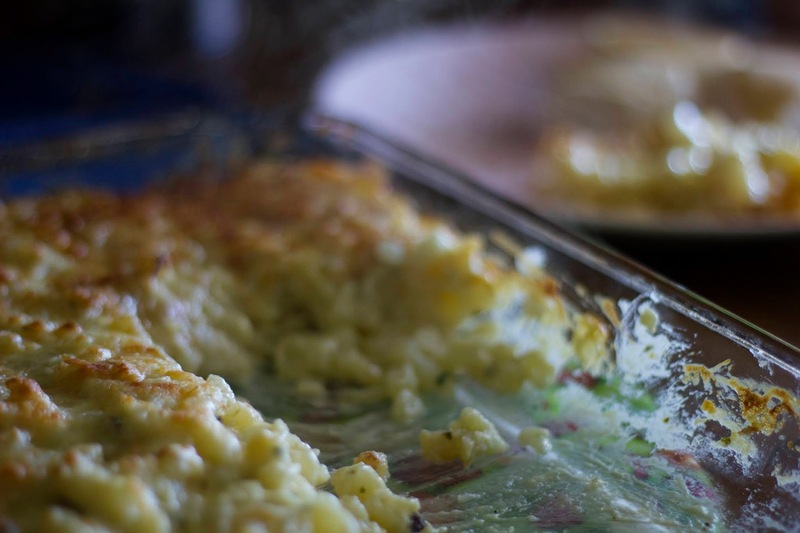 Coat an 18x13-inch sheet pan with ¼ cup olive oil and set aside. Meanwhile, preheat oven to 450°F. Once dough has risen to almost double in height, flatten the bottom and press the dough up the sides of the pan with your hands. 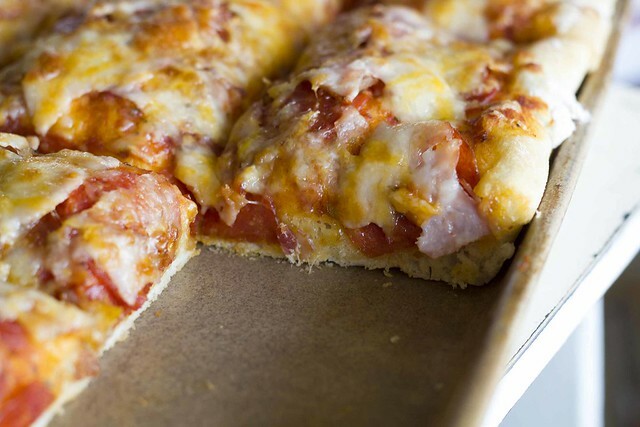 Spread pizza sauce evenly over dough. Add your toppings and then cover with the cheese of your liking. Finish with some Italian seasoning. I'm back with my Menu Plan Monday. It's been a while since I've put one up, I usually do it over on my main blog, but I think I need to start placing it on this one too, after all it's food related and this is clearly where it belongs. So, for this week, I have meals up until Thursday night, then Friday I'll be grocery shopping again and the new meal plan will kick in. I have a few ideas for the menu, but not sure on every meal yet, I'll be working on that sometime this week, but be sure to come back next week Monday if you're interested in seeing what our meals will look like for the weeks ahead. As always, recipes are either already on the blog, or if not, I'll let you know which ones I'll be sharing after they've been made. On Sunday nights, I don't cook. Not because I don't like cooking, you know I love it, but it's usually a day that I take off since I am in the kitchen every other day of the week. We either snack all day long, or have cereal or sandwiches or leftovers. But there are Sunday nights that I feel like getting into the kitchen and making something quick and easy. Last night was one of those, I wanted a quick meal, but equally yummy, and that's when I remembered a simple, yet delicious dish that I hadn't made in a couple years. It is quite popular in Brazil and even Portugal, and the best part is that the variations are endless, but this is the most common way I make it. Also, it is easily adapted to cater to a big crowd, or just 2 or 3 people. 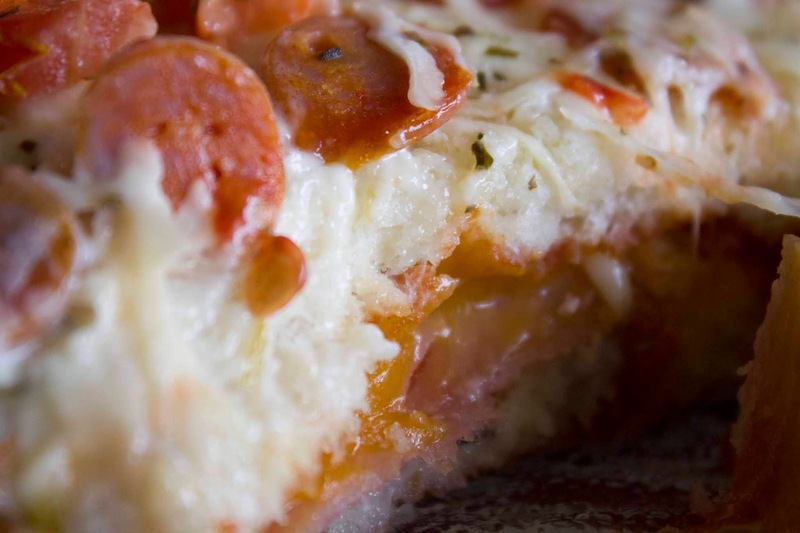 In a baking dish, put a little bit of the pizza sauce. Just enough to cover the bottom. 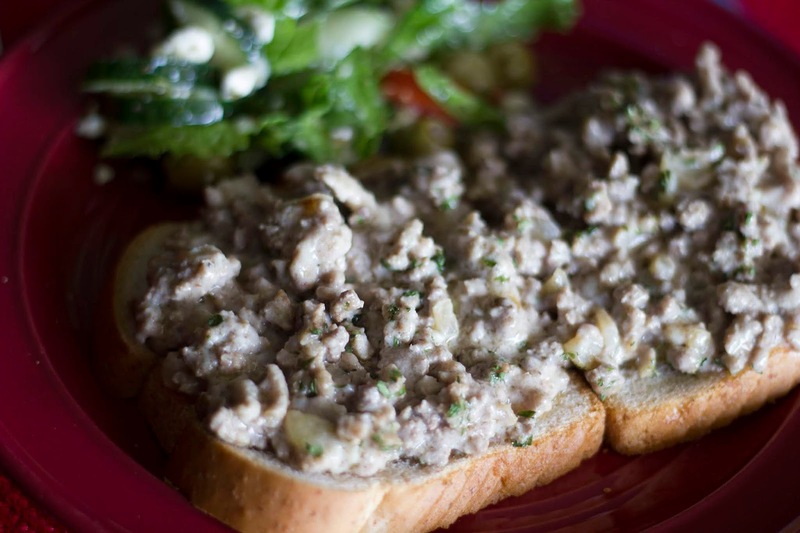 Next cut off remove the bread crusts, and then place a layer of the slices over the sauce, covering the whole dish. Now you're going to start layering the ingredients, starting by spreading a good slather of mayonnaise on the bread. Next sprinkle on some shredded cheese of your choice, sprinkle some oregano, then a layer of ham, layer of sliced cheese, spread on some more pizza sauce. Do another layer of bread, mayo, shredded cheese, ham, sliced cheese and pizza sauce. 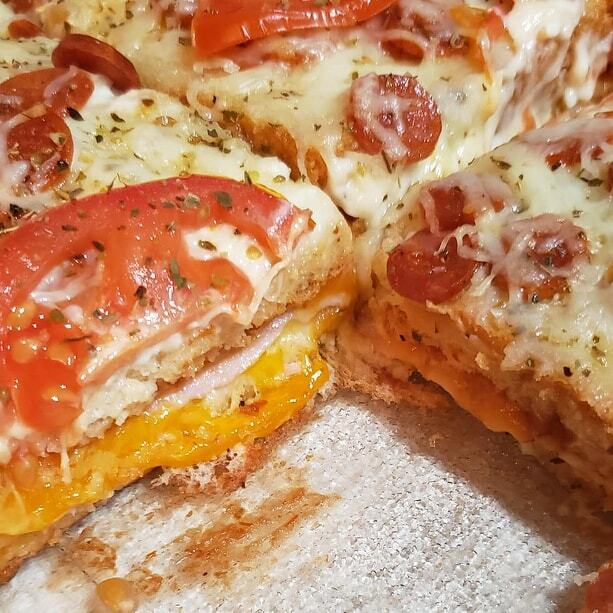 To finish off, another layer of bread, then a final layer of mayonnaise, some more shredded cheese, then top with sliced tomato and sprinkle some more oregano. Bake in a 375 degree oven for 15 to 20 minutes, until golden brown. I pulled out my cookbooks the other day, when I was working on my menu plan. So often we forget that we have a myriad of delicious recipes at our fingertips, and it's easy to get stuck in a rut and basically make the same thing over and over. 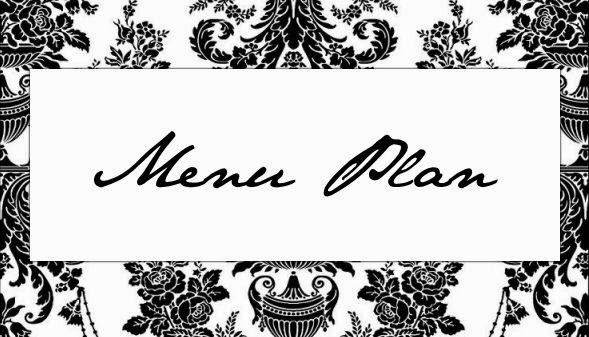 But at times we get a little tired and want something new, so I made up my whole menu plan using newish recipes to us and so far, everyone has enjoyed it. 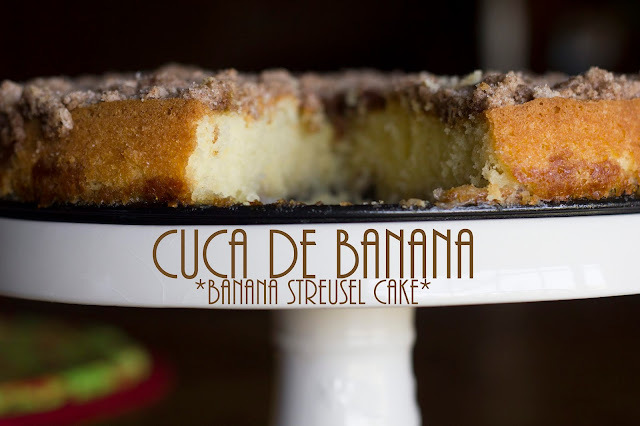 This one is going on our favorites list, it tastes amazing and it's not too complicated to make. Besides, if you can get Asian food at home without having to order take-out, why not? I adapted the recipe slightly to suit our needs, but I'll tell you below where and what I did. Cut wonton wrappers into 1/2-inch strips, and cut pork into 3- x 1-inch strips; set aside. Toast 1/2 cup sesame seeds in a large heavy skillet over medium-high heat, stirring constantly, 2 to 3 minutes; remove from skillet. Pour 1/2 cup vegetable oil into skillet; heat to 375°. Fry wonton strips in batches until golden. Drain on paper towels; set aside. Drain skillet. Combine remaining 1/4 cup sesame seeds, flour, salt, and pepper in a heavy-duty zip-top plastic bag; add pork. Seal and shake to coat. Pour 2 tablespoons sesame oil into skillet; place over medium heat. 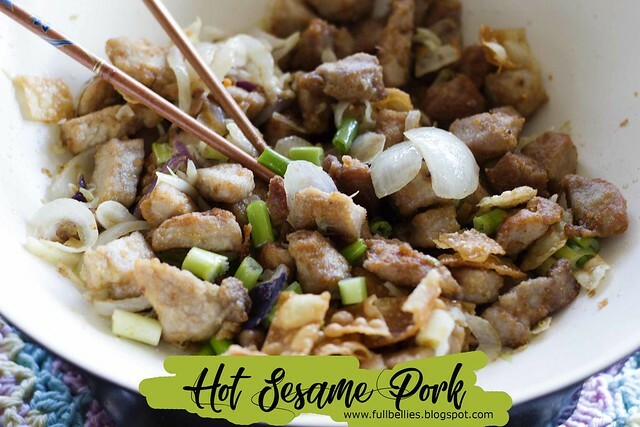 Fry half of pork in hot oil, stirring often, 6 to 8 minutes or until golden. Remove and keep warm. Repeat procedure with remaining 2 tablespoons sesame oil and pork. Add in the onion and coleslaw mix at this point, cook until onion is tender. Process toasted sesame seeds, remaining 1/2 cup vegetable oil, soy sauce, and vinegar in a blender 1 to 2 minutes or until smooth. 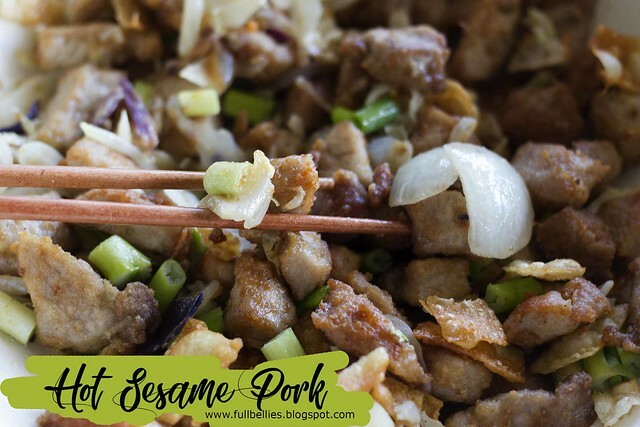 Combine pork and green onions; drizzle with soy sauce mixture, tossing gently. Growing up in South Africa, I was able to not only continue to enjoy my Portuguese heritage through the meals we ate at home, but also be privy to the wonderful South African food. 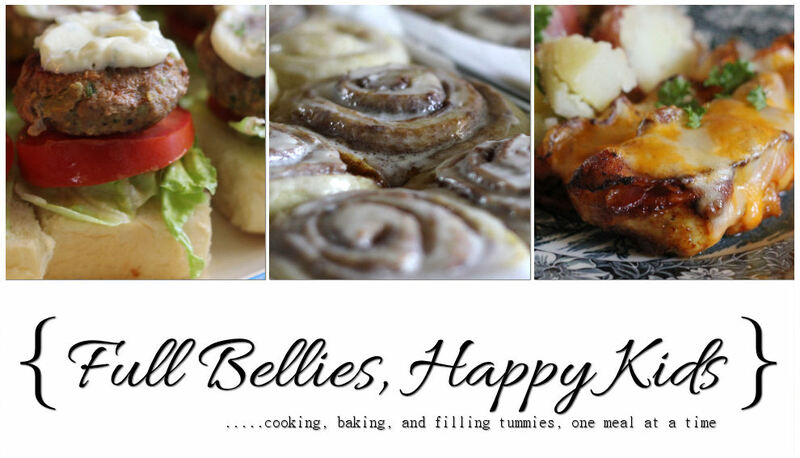 Things like Koeksisters, Vetkoek, Mince Roll, Melktert and the amazing Malva Pudding. I actually took Home Economics in school and I remember making it as one of our projects. I'm sure I don't have to tell you that Home Ec. was my favorite subject in school, do I? Especially when it was cooking day. Anyway, I thought I had shared this recipe with you all, but after looking through the blog this morning, I noticed that I hadn't, and the last time I actually made the Malva Pudding was back in 2014. Wow, that needs to be remedied and fast. I think I will make one this weekend. Place the cream, butter, sugar, salt and Apricot Jam in a medium saucepan, stirring continually over a high heat, bring the sauce to the boil. Reduce the heat and simmer for two minutes. Cream the butter and the sugar together until the butter is pale and soft. Beat in the Apricot Jam, beat in the egg. Dissolve the bicarbonate of soda into the milk. Sift the flour and the salt together and add to the batter, alternating with the milk. Beat in the vinegar. Spoon the batter into an ovenproof pudding bowl that has been sprayed with non-stick spray. Pour half of the sauce over the batter. 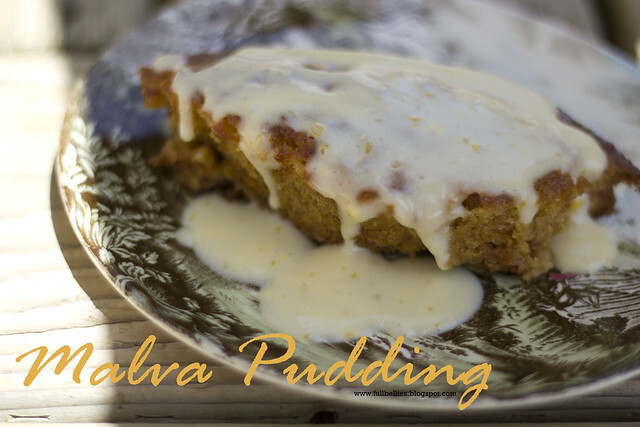 Bake the Malva Pudding in an oven preheated to 350º F, for 40 minutes or until risen and golden. Remove from the oven and pour over the remaining sauce a little at a time until all the sauce is absorbed by the hot pudding. Navajo Tacos, Indian Fry Bread, Indian Tacos, pretty much the same thing. 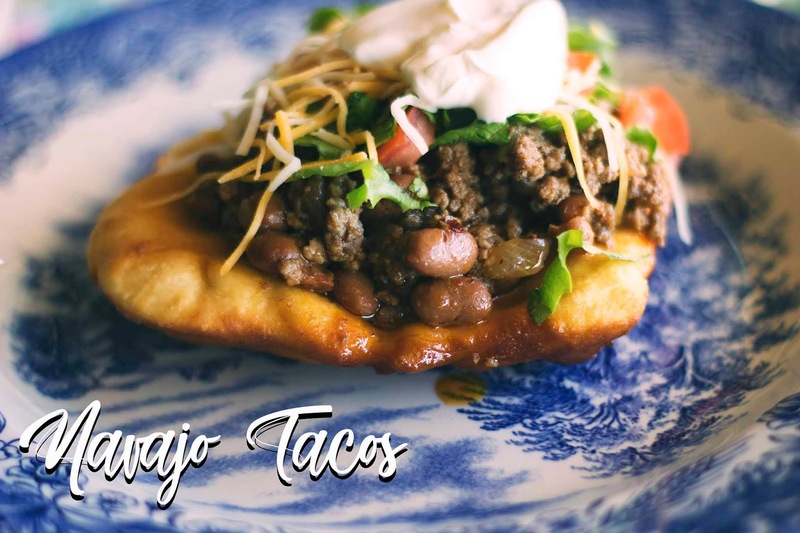 If you have never heard of Navajo Tacos, let me tell you a little about them. Navajo Tacos were invented in 1864, using flour, sugar, salt and lard. The Navajo tribe had been given these ingredients by the US Government, when they were forced to leave their land and make the 300 mile "Long Walk" to New Mexico. Often times, the food ingredients supplied by the government were rancid, and so the tacos came about using just the simplest of ingredients available to the tribe. The way that the frybread is served, depends on the region and even the tribe, but it's beginning take place during the 4 years of captivity the Navajo suffered. So to the, Frybread is not just a meal, it is a memory of a painful and sad time for their ancestors. 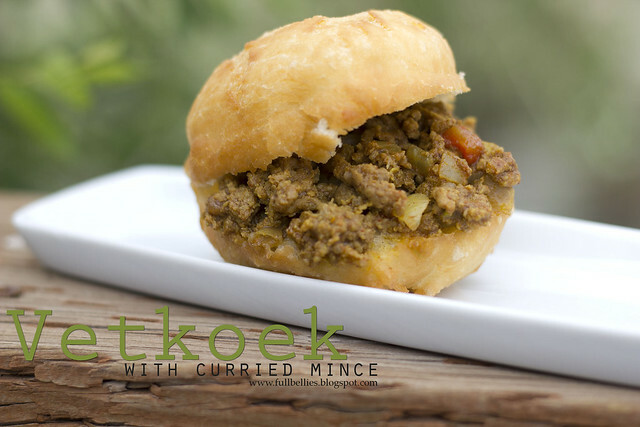 The closest thing to a frybread that I'm familiar with, are the Vetkoek which we had back in South Africa, which is either served with some delicious savory curried ground beef, or filled jam. I actually just realized that I haven't yet shared the Vetkoek recipe with you all, so that needs to happen soon. Anyway, back to the Navajo Tacos. 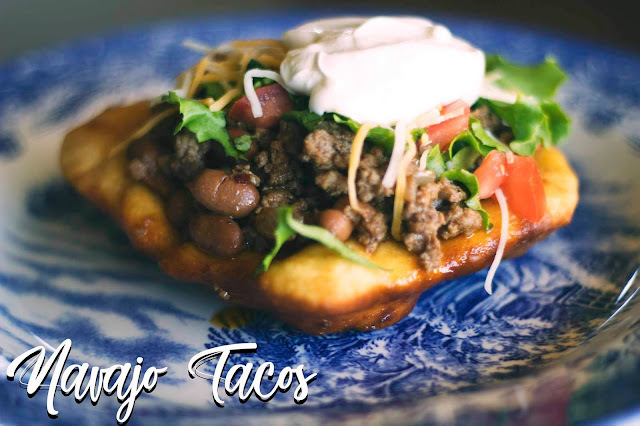 My family loves tacos and usually we stick with the crunchy tortilla type, but once in a while, I prefer to take some time and make some Navajo Tacos, they truly do hit the spot. In a bowl, mix the flour, baking powder, salt and warm water. Mix well until a soft dough is achieved. You can knead for a few minutes, or pop it in your stand mixer and beat for about 4 minutes or so. Cover with a kitchen towel and let sit for 20 minutes. 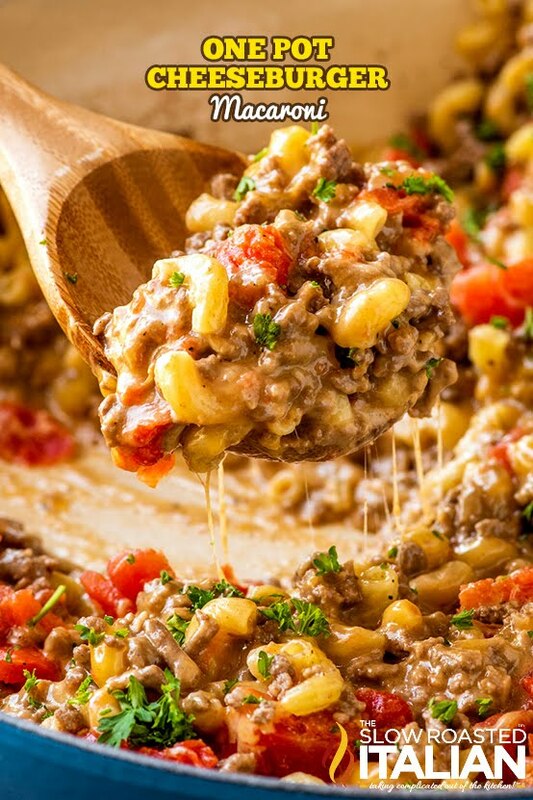 In a skillet, fry the ground beef until browned, add the onion and cook until translucent, add the spices to taste and cook for a few minutes more. Add in the Southwestern Style Pinto Beans, don't drain. Mix well and let simmer for 5 minutes. Set aside. In a small skillet, add oil for frying. You don't need a lot, I usually add about 2 inches of oil, I just don't like drowning my food in excessive amounts of oil. Divide the dough into 8 equal pieces, roll into a ball and then flatten to a disc that is about 6 inches wide. Fry each one for a minute or so until golden brown, then flip over and cook the other side until golden brown as well. Drain on paper towels. To serve, spoon meat mixture onto each disc, add the toppings to your liking. My husband loves everything that I make, but one of his favorite meals is also one of the easiest and cheapest meals to have. If it were up to him, he would eat S.O.S every single day and be just fine with that. It's something that military folk of all branches are quite familiar with. The dish seems to go all the way back to World War I and an Army field kitchen, although the recipe itself first appears in a Manual of Army Cooks from 1910. So, as you can see it has definitely been around for a very long time. 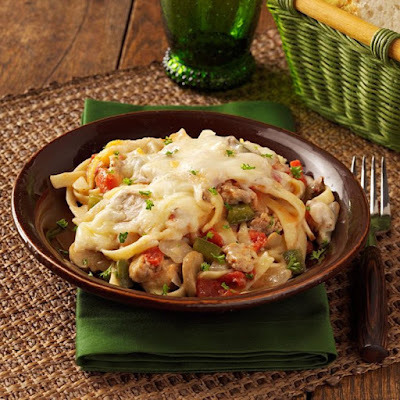 This is definitely one of those meals that not only go far, but are perfect for when you need to cut back on your food budget. There seems to be a love/hate relationship for people with this meal, but we think it is absolutely fantastic, and filling. There are SO many ways to make this recipe, so I'm giving you my way of making it, I'm sure you can find a ton of different versions online. In a medium sauce pan over medium high heat, brown the ground beef, then season with salt and pepper. I sometimes add a little garlic too. Drain grease. Sprinkle the flour over the meat and stir to combine, then slowly start pouring in the milk all the while mixing well so as not to allow the flour to become lumpy.